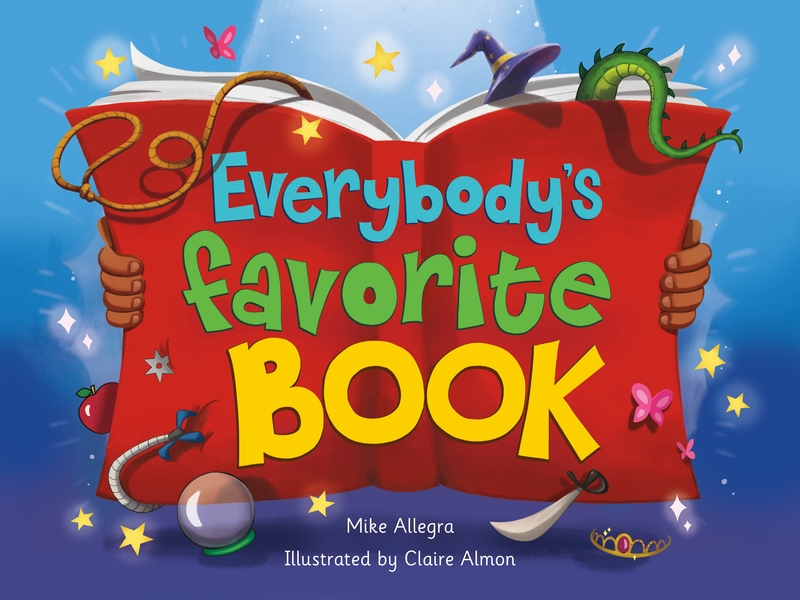 Win Everybody’s Favorite Book! – Hey, Look! A Writer Fellow! Running second place to you is an honor! And I thank you. But you can get another for a loved one—or to donate to a local school or public library! You could be a hero! I already wear that cape……..ta DA!! I have a bunch of books I should take down to my Wina at the library. She’s a Wina too!! I will take the books with me when I tell her. I guess you gotta buy some more! My favorite picture book (other than yours, of course:) is “Thunder Cake,” by Patricia Polacco. I don’t know that one… And off to the library I go! That one always got me misty. Aaaand you’re in the raffle! (If you decide to plug the contest of social media, by the way, let me know so I can add the correct number of ballots to the Hat of Selectivity. Celtic, eh? Cool. And you get two ballots into the hat! You’re asking a librarian/English teacher to name her favorite book?!? That’s like asking me to pick which of my kids is my favorite!!! I will promote your contest. Are you a Costco member? If so, send it to Penny who reviews books. That should a couple of million readers noticing your book. I don’t go to Costco (we’re a BJ’s household), but my mom does. Does that count? Ooh. Never read that one. Aaaaand your name goes into the hat! Don’t forget to plug the contest on social media to get more ballots! The Tall Book of Make-Believe. It actually has some scary illustrations. Maybe that’s why I like it? Spent hours looking at it when I was a kid. P.S. I did leave reviews on Amazon about Prince Not So Charming. Do I seem to be begging to get as many ballots as I can? Why, yes! That’s exactly what I’m doing!!! I remember, but for some reason Amazon removed them! I know. Feel free to yell at them. I never could get into The Hobbit for whatever reason. But that’s neither here nor there. Your name goes in the hat! “Wuthering Heights.” Which I believe will come as a shock to no one. I’m not shocked, but I didn’t know that, either! And you’re in the raffle! Tweeted the contest. I have too many favorites. Picture book — The Keeping Quilt by Patricia Polacco. I’ve heard of The Keeping Quilt, but never read it. Considering your good taste, I guess it will behoove me to give it a go. Pingback: Oh, So Very Disappointed… – Hey, Look! A Writer Fellow! Hey, Mike! So sweet to extend contest; you’re right . . . getting all wrapped up in the holidays and not taking time for the important stuff that feeds the soul. My second-favorite children’s book — and that’s a tough one for an editor to call — would be The Giving Tree. And your name goes in the hat, Amy! Thanks for entering! You can win a book AND buy it, too! I don’t know CRICTOR, but you have good taste in lit, so I’ll have to pick it up. Wonderful! And you get two ballots! I didn’t enter because I already have the book. Didn’t want to take a chance away from a potential lucky winner. p.s. The book is adorable. Aw. Thank you, my friend! I bought a copy for my kids for Christmas, but my kids have lots of friends, so we’ll enter for a chance to win another one! (It’s a truly wonderful book, by the way). I reposted on Facebook. Hope your response this time is awesome! I will have to say my favorite book of all time is A Prayer for Owen Meany by John Irving. I like John Irving. You have good taste in literature, EK! My favourite book is called “Trinity” written by Leon Uris. Not a kid’s book, I know. I’ve purchased two of your books for Christmas presents so I think this would be the perfect way for me to win one for myself. I know I have no kids but hey it is “Everyone’s” Favourite Book. I shall tweet all about this now. There ya go! (And I didn’t specify a favorite children’s book, just a favorite book, so you’re in!) But please note that since this is an American book, you’ll need to add the “U” to the “Favorite”. Not a problem. I’m quite use to it and consider myself u-bedextrouse.